With the growth of the market economy, it is more important than ever to take advantage of the latest advertising methods in order to create the necessary impact on potential customers. In this age of satellite, nothing is far away and so the competitive market demands such measures that can ensure the instant success of a product since clients can easily shift their choice from one product to another. Apart from the conventional methods of advertisement, there are several new procedures that offer effective and efficient advertising solutions. 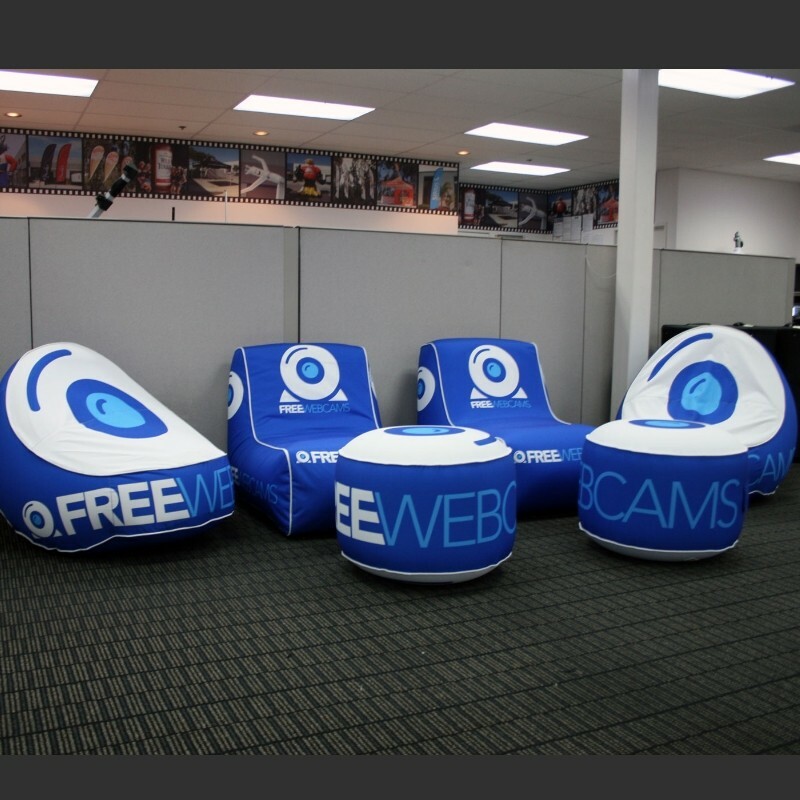 Products like inflatable furniture, for example, are both eye-catching and cost-efficient as modes of advertisement. These products are available in different sizes, shapes, and designs from which clients can choose according to their preferences. These types of furniture are perfect for exhibition stalls as they look attractive when inflated. Apart from being a medium of advertisement, they can also be used as regular furniture and clients can even custom make them according to their individual specifications. The biggest advantage of using branded inflatable furniture is that once money is invested into it, clients continue to get desired results for a long time. These blow-up furniture items are made from durable material and so they can continue to be in good shape with minimum maintenance. Moreover, these furniture items can be inflated easily with the help of an inflation pump or a cold air fan. Hence, assembling and dismantling the whole setup is also not a problem. What are the various types of Inflatable Furnitures? Keep in mind, there are different types of inflatable furniture for adults that are available for this purpose. Right from stools to couches, from chairs to sofas. Clients can choose from a range of options according to their individual requirements. It is needless to mention that these products, being made of splendid materials, last for a long time. It's also possible for clients to order for special inflatable products according to their individual specifications like particular colors, company logo or a special shape. As a result, these products offer effective and efficient advertising solutions. However, the choice of such a product needs to be right so that clients can have the best possible services for a long time. These products are able to grab the attention of visitors on the very first go. As a result, they are regarded as one of the most effective modes of advertisement. These items of furniture provide a cost-effective advertising solution to business managers looking for a viable method of publicizing their product. Deploying and disassembling these commodities do not require much effort and so they are perfect for exhibition stalls and fairs where exhibitors need to move in and move out on a few hours notice.